Sudio Tio, the new hybrid model from Tio is the perfect pair of headphones that you will NEED to buy. A pair of headphones that are so light that you sometimes have to double check that you are wearing them, it’s striking bass gives you a more powerful sound, enabling you to have a balanced and amazing listening experience. With a 10-minute quick charge and playtime for 9 hours, your long journeys home have never been so stress-free as you can listen to your favourite songs on Spotify or amuse yourself by listening to your favourite podcasts without worrying about the battery life of your headphones. Listening to your music whilst working out on the treadmill at the gym has never been so effortless as Sudio Tio’s wireless characteristic means you don’t have to fiddle with the cords to connect your headphones to your phones, iPods etc. The functions on the Sudio Tio headphone include a volume up/down button (top button), a Bluetooth wiring button (middle button), a play/pause button and an integrated microphone for remote calling. 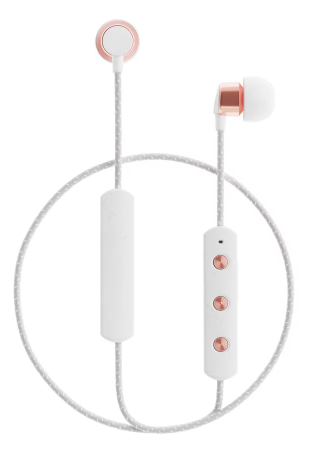 To connect your phone to the headphone, simply turn on the Bluetooth on your phone, hold the Bluetooth wiring button down for about 5 seconds at the same time, watch the flashing light turn from blue to red and your headphone and phone will connect like two star crossed lovers! To turn these off, simply hold the middle button for about 10 seconds. A pair of headphones that could become the greatest competition for Air Pods, get yourself or someone you love a pair of these headphones! Honestly, it is a wireless treat!